“As Above, So Below” is a found footage film directed by John Erick Dowdle, who also wrote the screenplay along with his brother Drew Dowdle. The movie chronicles young polymath Scarlett Marlowe (Perdita Weeks) in her search for the Philosopher’s Stone, an artifact fabled to have powerful alchemical properties and the ability to grant eternal life. The director/writer team of John Erick Dowdle and Drew Dowdle are no strangers to the found footage genre. The Dowdle brothers are responsible for creating two pivotal films in the found footage genre, the disturbing and eerie The Poughkeepsie Tapes (2007) and Quarantine (2008), the United States remake of the acclaimed Spanish film [REC] (2007). The film opens with Scarlett exploring an underground bunker in Iran where she discovers the Rose Key, a critical breadcrumb in her search for the Philosopher’s Stone. Scarlett then travels to Paris, where she enlists the help of her ex-boyfriend George (Ben Feldman). 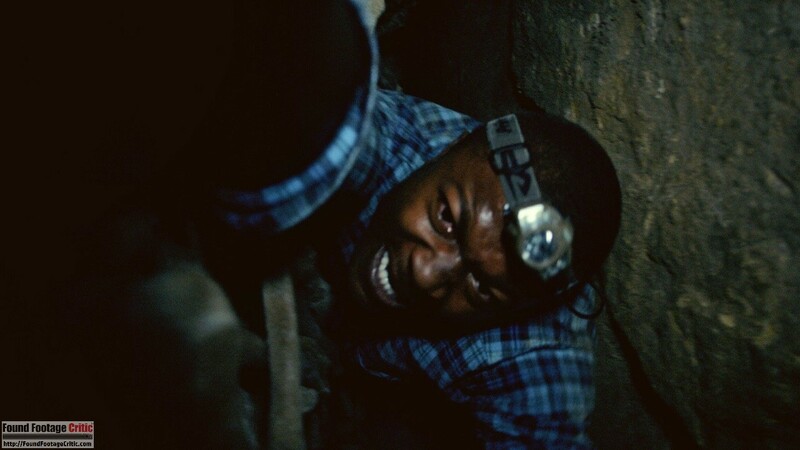 Along with amateur filmmaker Benji (Edwin Hodge), the couple embarks on an Indiana Jones style scavenger hunt that eventually leads them to the catacombs beneath the city. Led by their guide Papillon (Francois Civil) and his friends, the troupe ventures deep into the labyrinthine caves below Paris. As they search the claustrophobic passages for clues, the group encounters a number of strange people, situations, and terrifying events that lead them to question their own sanity. 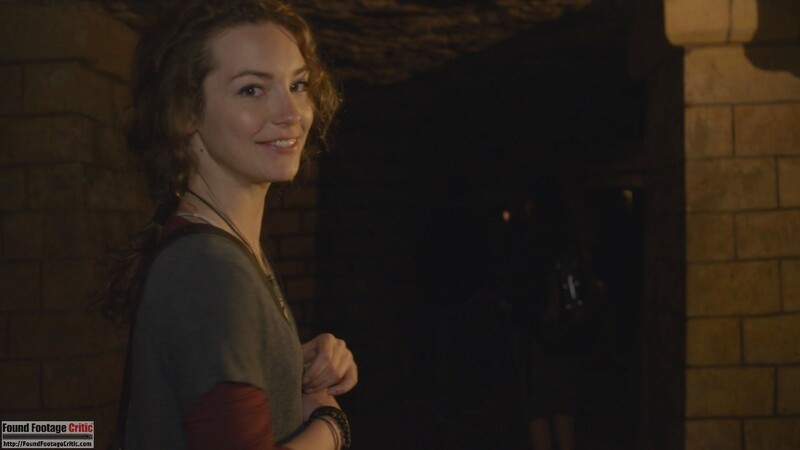 As Above, So Below was filmed in the actual Catacombs of Paris (French: Catacombs de Paris). The Catacombs de Paris are part of a network of abandoned mines beneath the city. Due to the growing population of Paris during the 18th century, the remains of several large cemeteries were relocated to the abandoned mines to reclaim land. In total, the catacombs hold the remains of more than six million people. The portion of the mine network containing the remains came to be known as the Ossuaire Municipal. The forboding walls of bones and skulls lining the corridors in As Above, So Below are actual human remains. 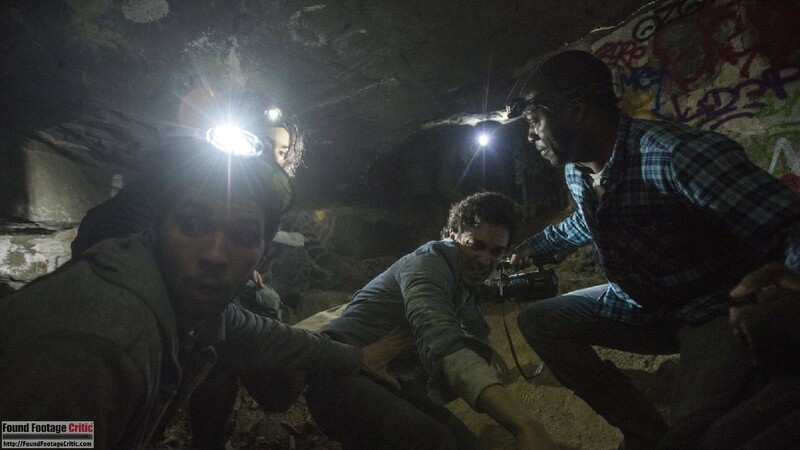 During the film, the characters speak of several historical mine cave-ins compromising the structural integrity of the subterranean network. Such cave-ins actually took place, dating back as early as 1774. The use of light does an excellent job of conveying a real sense of claustrophobia and increasing dread. As Above, So Below makes ample use of its variety of video sources, frequently cutting to the best angle on the action. The movie is beautifully shot. 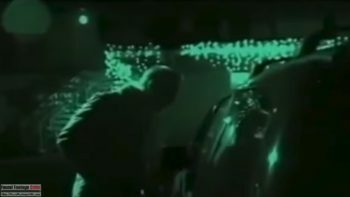 Almost every scene in the film is framed very well, yet with enough out-of-focus and shaky-cam elements to retain a feeling of true found footage. 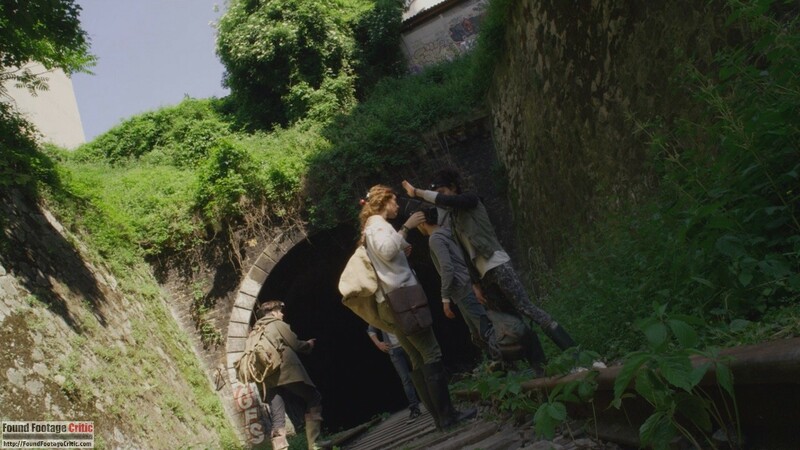 Being shot largely in the actual catacombs beneath Paris, the film is visually quite appealing. The use of light, which becomes narrower and more focused as the group of adventurers delve deeper and deeper, does an excellent job of conveying a real sense of claustrophobia and increasing dread. 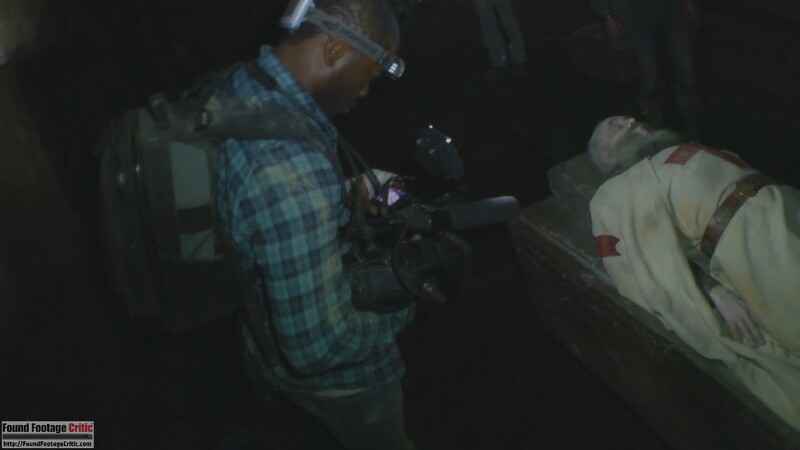 In fact, the tight quarters and complete lack of electrical outlets in the catacombs forced the filmmakers to actually film in documentary format. All of the lighting and camerawork originates from the equipment adorned by the characters. The acoustics of the film are also extremely well done. The Parisian catacombs are filled with all manner of deep rumblings, echoing moans, and even eerie singing that reverberates and fills the room when watching on a system equipped with surround-sound. Such good audio is difficult to judge in a found footage film, as it definitely creates an atmosphere conducive to immersion, but at the same time begs acceptance of the absurd notion that such a rich panoply of sounds could be accurately captured by minuscule head-mounted video cameras—sometimes even under water! 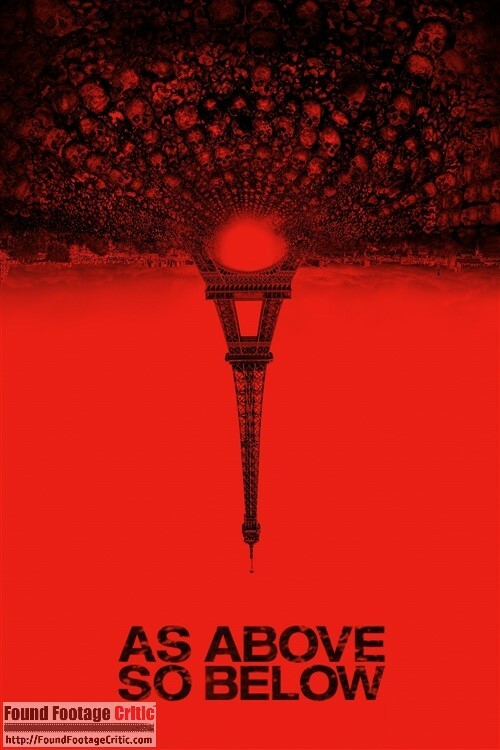 The setting for the majority of As Above, So Below is the catacombs beneath Paris (which is where the movie was actually filmed). Since the catacombs are unlit, the characters all wear headlamps, some of which have been equipped with video cameras. 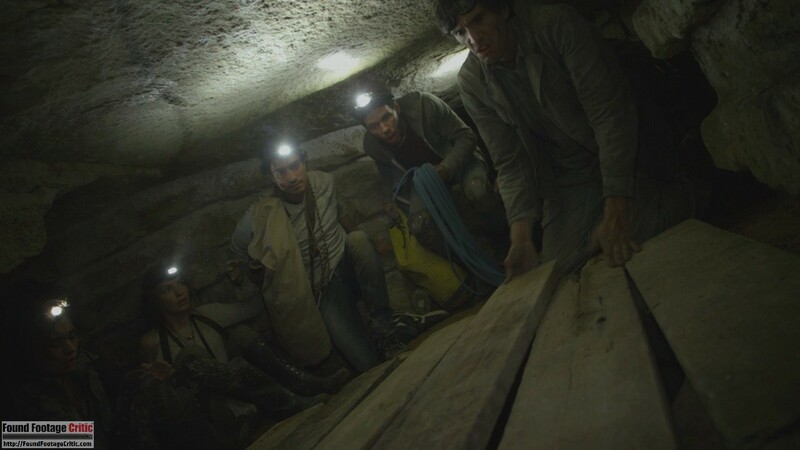 As such, the filming reason in the catacombs is very good—most of the footage has been captured incidentally as the characters use the headlamps to illuminate the caves. The actual reason for the video cameras is that Benji, an amateur filmmaker, is making a documentary about Scarlett and her quest to find the Philosopher’s Stone. The relationship between Scarlett and Benji, how they met, or what drove Benji to follow Scarlett to Paris is not particularly expounded upon, but it’s not a stretch to believe that someone would find Scarlett’s story interesting enough to want to document. In addition to the headlamp video cameras, Benji also has a larger handheld video camera with a much brighter light which also provides much of the film’s footage. Visually, As Above, So Below adheres well to found footage rules. It is shot professionally, but in a way that still feels raw and only roughly edited. The film contains a few brief instances later on in which static and digital glitching are introduced, but these techniques remain largely unused. The few scenes that employ special effects do so competently. None of the visual effects feel out of place or over-the-top. The sound in the film is another matter altogether. While extremely rich and immersive, the soundtrack constitutes an almost continuous blatant abuse of sound design. The latter half of the movie is filled with a constant assault of amplified booms, moans, whispers, screams, and all manner of unnatural ambient noises. In any other found footage film such heavy-handed audio would probably be unacceptable, but we can afford As Above, So Below some leeway. Given the film’s hellish setting, its exaggerated hellish soundscape does seem fitting. Justifying the extreme sound design to some degree (which also requires a healthy dose of plausible deniability), the cavernous nature of the cave system is prone to extreme echoing and is likely to carry and reverb sounds from the surface and other remote areas of the interconnected mine network. One particularly clever technique used by the film early on is to place a cult of eerie singing women in the catacombs. The existence of the cult allows for the use of unsettling choral music during certain scenes, which really ratchets up the tension. 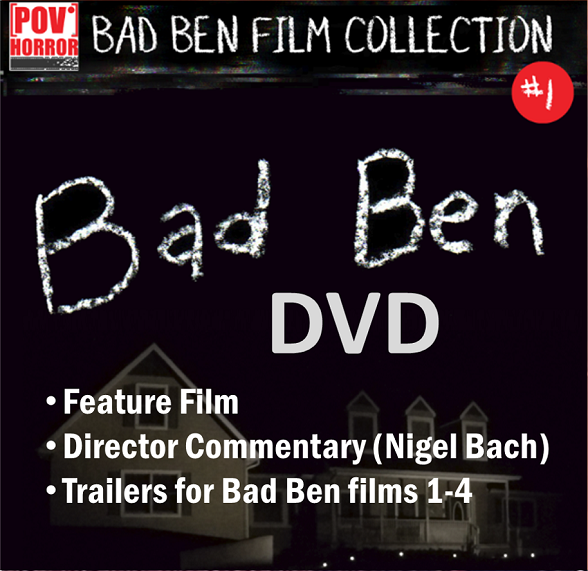 The music is likely to creep out not only viewers, but the characters in the film as well. The main cast of As Above, So Below are no strangers to acting, many with a number of movie and TV credits to their names. Ben Feldman, who plays George, even appeared in a found footage film before, with a minor role in Cloverfield (2008). The combined talent of the cast is apparent, with solid performances across the board. 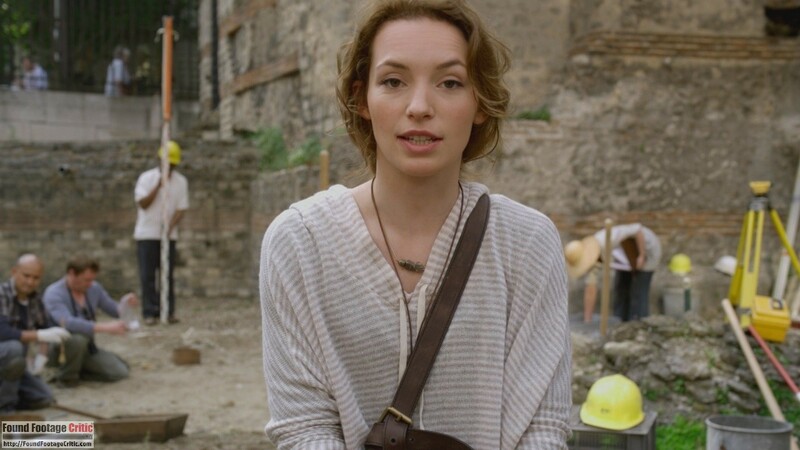 Perdita Weeks does a great job in the lead role, with Ben Feldman and Francois Civil giving equally admirable performances in their supporting roles. While the rest of the cast generally serve the purpose of either plot device or body-count fodder, their performances are just as good. Very rarely does the acting and chemistry of an ensemble cast come together with such a high degree of cohesiveness. The nightmarish visuals and solid performances deliver a true sense that the film is descending into Hell itself. As Above, So Below does not lack for quantity of plot. The beginning of the film, during which Scarlett and George track down the location of the Philosopher’s stone, is so dense and fast paced that it left this reviewer’s head spinning. That said, while feeling somewhat rushed at times, the overall plot is still engaging. Early details that hint at each character’s backstory often foreshadows events later on in the film when their pasts literally come back to haunt them. While these hints are sometimes obvious—such as when we learn that Scarlett’s father committed suicide during his own search for the Philosopher’s Stone—other clues are more subtle. The backstories of the main characters in As Above, So Below are definitely fleshed out more than typically found in the horror genre. Some of the character development seems a little cheesy and excessive. For example, the romantic underpinnings of Scarlett and George’s relationship, or George’s penchant for breaking into old churches and fixing their bells. The cheese does not stop at awkward romance and quirky character traits, unfortunately. One major plot point surrounding the Philosopher’s Stone which cannot be discussed without spoiling the story, while keeping with the Hermetic theme of the film, is particularly eye-roll inducing. 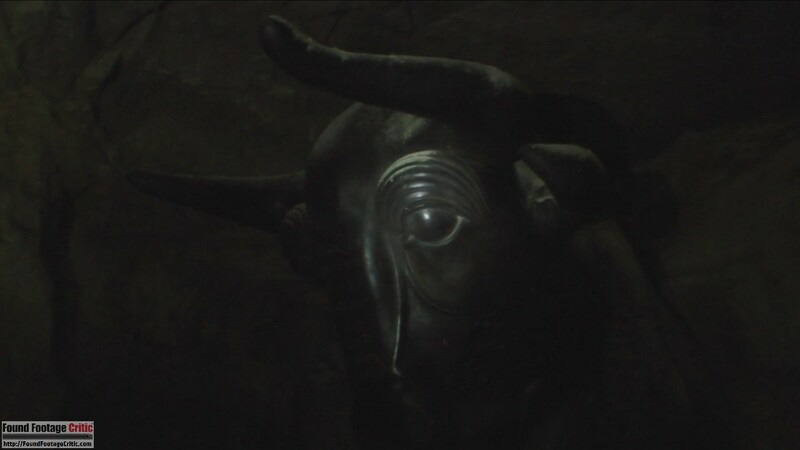 But as a whole, the plot of As Above, So Below, while flawed, is very engaging and unique for a found footage horror film. As the characters move deeper and deeper underground, everything slowly becomes more surreal. The nightmarish visuals and solid performances deliver a true sense that the film is descending into Hell itself. While it may not be a roller coaster of jump scares, As Above, So Below excels at creating its own mythos and a creepy atmosphere to back it up. Miles of twisting catacombs lie beneath the streets of Paris, the eternal home to countless souls. When a team of explorers ventures into the uncharted maze of bones, they uncover the dark secret that lies within this city of the dead. A journey into madness and terror, As Above, So Below reaches deep into the human psyche to reveal the personal demons that come back to haunt us all. Written by John Erick Dowdle and Drew Dowdle (Quarantine, Devil) and directed by John Erick Dowdle, the psychological thriller is produced by Thomas Tull, Jon Jashni, Drew Dowdle and Patrick Aiello. Alex Hedlund serves as the executive producer. Tagline:The only way out is down. AS ABOVE, SO BELOW is a found footage horror film shot in the actual catacombs beneath Paris, France. 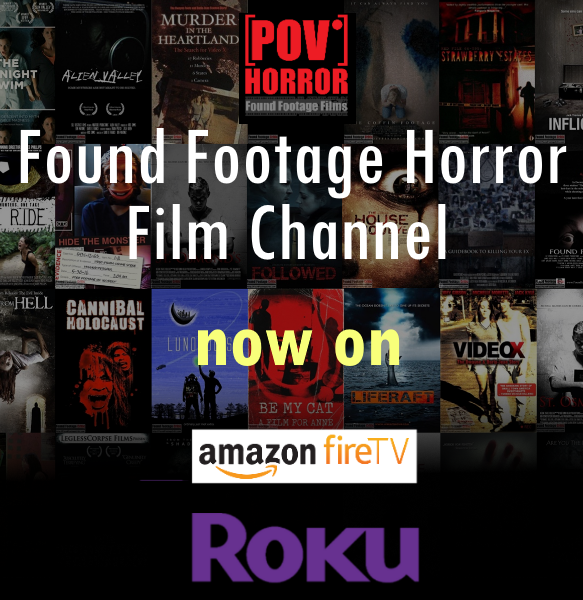 The authentic location, incredible acting, and great story make this one found footage film that shouldn't be overlooked.